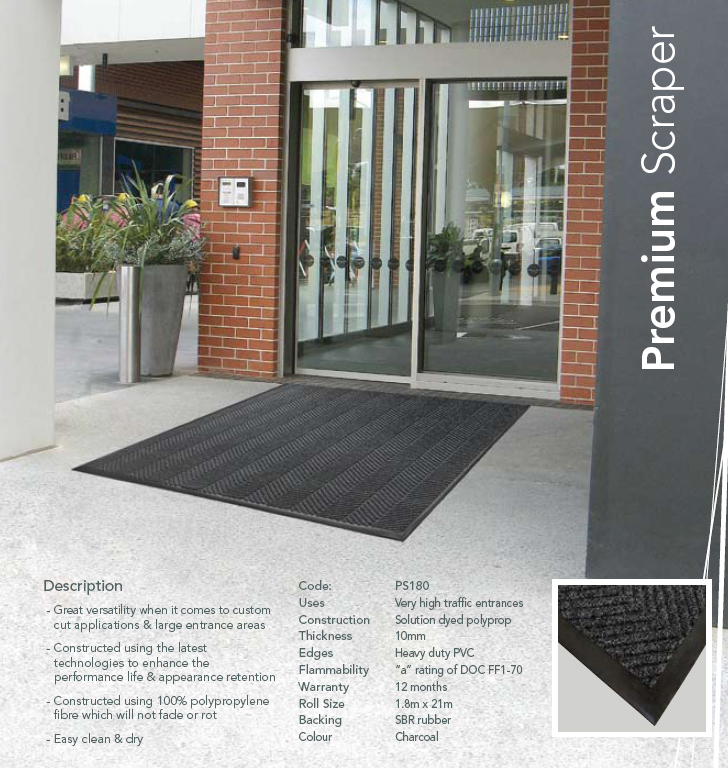 Premium Scraper Entrance Mat offers great versatility when it comes to custom cut applications & large entrance areas. It is constructed using the latest technologies to enhance the performance life & appearance retention. This entry mat is constructed using 100% polypropylene fibre which will not fade or rot. 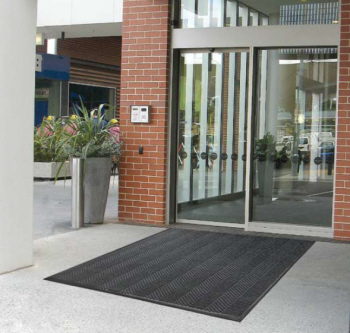 It is easy to clean using vacuum or hose. Available in two sizes.